There are so many wonderful childcare and education centers throughout NYC that are striving to provide quality education and services to as many New York families and children as possible. We wanted to spotlight a few of our favorites. Next up in our Early Childhood Education Center Q&A series is Sheltering Arms NY. Sheltering Arms is in the business of hope, strengthening the education, wellbeing, and development of vulnerable children, youth, and families so that everyone has the support and opportunity needed to maximize their potential. Helen Davis, Director of Early Childhood Education, shared some insights into Sheltering Arms with us. Check out the Q&A below! Is there a moment - or story – from your life or career when you knew you wanted to get involved in early childhood education? When a family member was experiencing some challenges with drug addiction, I adopted her 5 month-old baby boy at a time when my 2 birth sons were in their teens. Needless to say, this totally transformed my life and my career goals. I became involved as a new parent in a community Head Start program as a member of their policy council. My involvement opened up the world of Early Childhood Education to me and I decided to make a career change from my work at a bank. I saw how innocent and how eager to learn these young children were. Unfortunately, I also saw how limited the quality of experiences were for young children in the South Bronx and many other New York communities, and I wanted to make a difference in the lives of as many children as I could. I went back to school and pursued a degree in early education. Almost 30 years later I have had the awesome privilege of impacting the lives of hundreds of children. I was most honored in 2010 when I attended the college graduation of one of my former pre-school students who attended Manhattan College and was on an academic track leading to her degree as a medical physician. Over the years, as I travel throughout the city to our Early Learning Centers, so many children and their parents will stop me in the streets to remind me of who they are and to share with me what is happening in their lives and the lives of their children. I am constantly reminded of how thankful I am for the choices I made years ago to make a difference in a child’s life. What types of services does your program offer children and families? A curriculum that is forward-thinking, comprehensive, and research-proven. Our curriculum allows preschool teachers and infant caregivers to be their most effective, while still honoring their creativity and respecting their critical role in making learning exciting and relevant for every child. Can you recall an event or campaign where your program - in your mind - earned its greatest achievement? Our children’s achievements will always be our greatest achievement. Our program was among the first in the city to implement a system for measuring our children’s accomplishments relative to research-based “widely held expectations”, which are national standards for children’s development in important areas like language, literacy, math, cognition, motor skills, and more. We have always known that our children are learning, and we see proof every day that they are happy and healthy, but seeing the first results from our tests were very gratifying. By the end of the year, more than 90% of our children were meeting or exceeding the national standards, up from only 50% in the beginning of the year! We could be more confident than ever before that our children were ready for Kindergarten and for lifelong learning, thanks to the strong foundations we were able to provide. What is the ultimate goal of your program? Our greatest goal is to provide quality education for young children that will prepare them for life-long success. We know that children will rely on the things they learn and the skills they develop in their first years well into future schooling, and even into adulthood. We aim to provide those strong foundations which open doors for children and their families. What is the most rewarding aspect of running an early education center? The most rewarding aspect is being able to mold a young mind and to provide experiences that connect them to the world around them. You see an incomparable joy in children who are given the opportunity to feed their curiosity, and to achieve their greatest potential. What are some of the bigger challenges to starting and running an early education program? It remains challenging to cultivate balanced and diverse funding to sustain all the important services we provide. For example, with more funding, we would be able to continue to implement our ‘Journey of Hope’ mental health program for children 2-5, which helps our most vulnerable kids understand their emotions and express their needs, especially when they have experienced extra stress or trauma. Unique and innovative programs like these require new investments from government and private sources. Funders have been incredibly supportive and excited about our work, but their support is often stretched thin as it is distributed to many important social initiatives throughout the city. We hope that more funding will continue to be dedicated to quality Early Childhood Education since it has such a strong, proven impact on future outcomes. Currently, there has been a big push city-wide to bring Pre-K to all children, which means that more children than ever before will benefit from this wonderful service. The challenge is that while the Department of Education (DOE) works to open educational sites and recruit teachers for Universal Pre-K, they make it more difficult for providers like us to retain our staff and our school buildings. If we could snap our fingers and change one thing overnight, we would create parity among DOE teacher salaries and our own salaries so that we were working in partnership with DOE programs to educate our children, instead of competing with them for the best teachers and school sites. Our sites are unique because we offer care for children 0-3, in addition to providing preschool. It is important that we find the best ways to work together with DOE preschools so that parents have care options and are able to work no matter how old their children are. 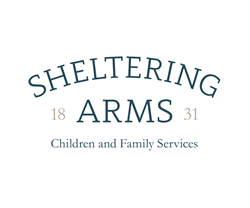 Learn more about Sheltering Arms here.